You’ve probably seen photos of a lotus blossom before. You may be familiar with this water lily’s significance in several Asian religious traditions. But did you know that the lotus is also called a “mud flower”? Why? This beautiful symbol of persistence thrives in the muck. Imagine an immaculate white lotus blossom. This water lily is a symbol of purity, faithfulness, and enlightenment in various Asian traditions. But more than anything, the lotus represents persistence. Sometimes called a “mud flower,” this blossom takes root in the muck, a seemingly dirty, shallow, and hopeless place. But the lotus grows, despite these most humble of all beginnings, and bursts open above the grime: a beautiful symbol of how wonderful things can happen in the most unlikely situations. Four special communities in Mymensingh, Bangladesh have a lot in common with the lotus. Eight years ago, the people of this area were full of promise, but mired in the sludge of poverty, lack of education, injustice, and corruption. 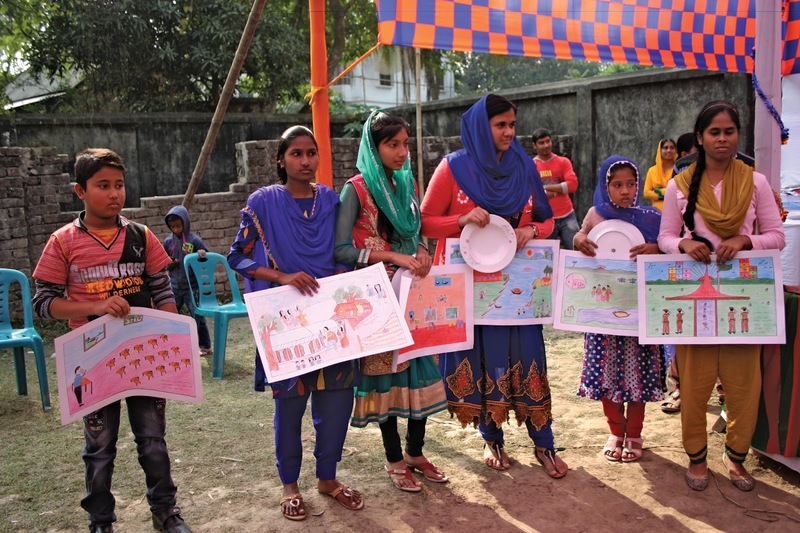 When Food for the Hungry (FH) sponsorship came to Mymensingh, it provided support and direction for these communities. The seed of potential was already there, but FH programs drew people out of the issues that were troubling them and up toward the sunlight. Can you imagine living within those limitations, wanting the best for your children? Even supplying basic needs like food and clothing would be nearly impossible on so little. How could you begin to think about an education and a future? A lack of good nutrition, clean water, and electricity made matters worse. But change slowly began to happen. When FH staff got to know a girl named Lamia and her family, they introduced Lamia’s mother, Nilufa, to the “Matir Ful” (which translates to Mud Flower!) Savings and Loans Group to equip her with guidance on how to handle finances and begin to save. Nilufa was soon promoted as the Health Leader for her savings group, setting an amazing example for other women in her community. NALUFA (HOLDING BABY) AND LAMIA (POLKA DOTS) AND OTHER FAMILY MEMBERS. This kind of great role model inspires truly great things. 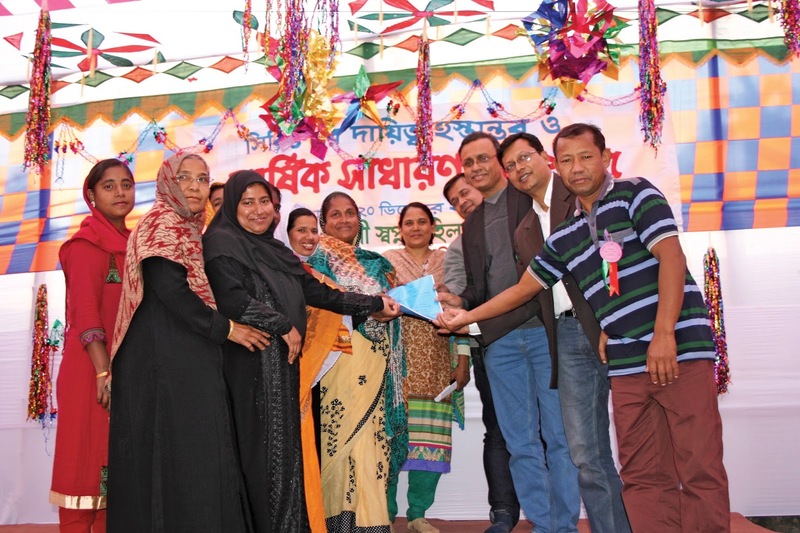 In Mymensingh, 59 Savings and Loans Groups were formed, consisting of about 962 people, two thirds of whom were women. 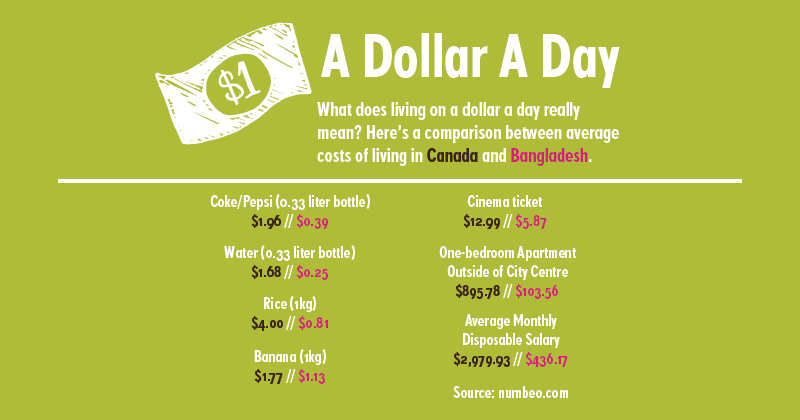 Combined, these groups have succeeded in saving over $35,525 CAD — an incredible feat considering Bangladesh’s average daily wage of $1.25. For some, it meant they could only contribute a few taka each week. But the few grew. Today these groups have supported 62 small business ventures, from chicken farms to tailoring shops. One savings group even funded the installation of several new wells for clean drinking water. 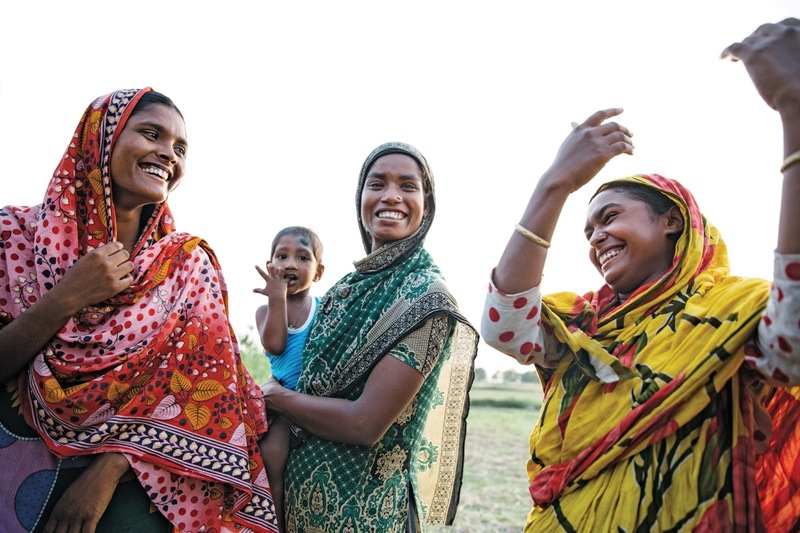 Nazma Khatun experienced how becoming a member of a savings group could change her life. Once restricted to her home because of cultural and marital obligations, she is now empowered to earn and save money to support her family. Mymensingh is shaking off the hold of poverty; fully half of the households in the area have experienced an increase in income since the project began. Superstition and misinformation once plagued the communities of Mymensingh. Some people were wary of modern medicine. Others were addicted to betel leaf (a chewable stimulant) or cigarettes, and prioritized spending on these substances over medicine, food, or clean toilets. Many even believed that eating less during pregnancy was wise, since it allowed for smaller babies and therefore easier deliveries. A lack of education and information meant poor hygiene practices, illiteracy, and social exclusion. One young woman named Ringku experienced the worst of this lack of understanding and awareness. But with a little support, her situation went from hopeless to hopeful. 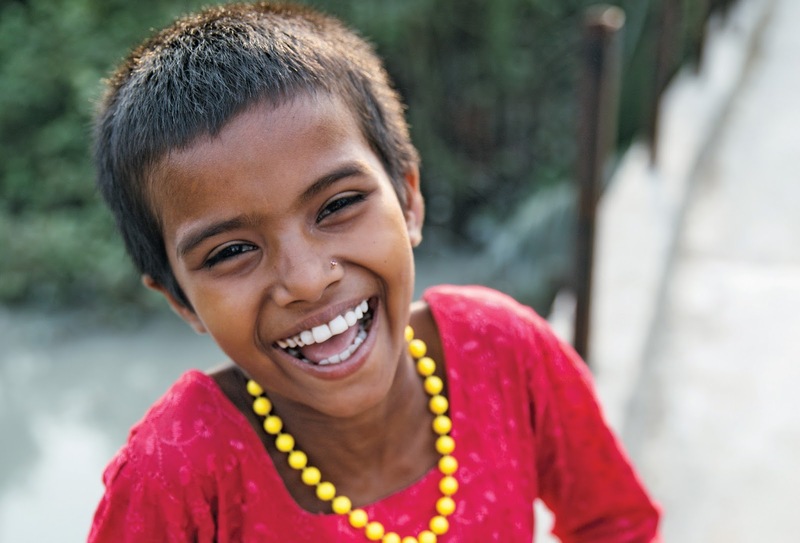 Born with a cleft palate, Ringku’s condition daunted her in every aspect of her young life. It was difficult enough to eat, to talk clearly, and even to make friends, since Ringku’s peers did not understand her ailment and therefore couldn’t accept her. She hated going to school and was about to drop out when the FH Child Sponsorship program intervened. Funds were directed to providing multiple surgeries for Ringku, as well as school fees and supplies. She transformed into a healthy, optimistic, and confident young lady. Today, she is learning the marketable skill of sewing and dreams of one day passing her expertise on to other women like herself. Going back to Nilufa’s story, the Savings Group she joined provided much more than financial accountability. Cooking, health, and hygiene lessons inspired Nilufa to transform her family’s life. “I didn’t know the importance of some simple health rules before,” she says. But after learning about disease prevention, she ensured that a proper toilet was constructed in her home. FH helped provide health check-ups and deworming medicine. Weekly coaching sessions given to community members like Nilufa increased awareness of good health and sanitation practices. More and more participants attended training sessions on topics like health, finance, literacy, and leadership. Lamia and her family are now models in the community. Through attending the children’s club, Lamia learned about hygiene, healthy lifestyle choices, and even art and music. Overall, education has become accepted as an important investment, with 1,610 children having graduated from this project. Many sponsored children have gone on to get good jobs in government, the private sector, or with other organizations. Early marriage has decreased in popularity, meaning more girls are continuing their education longer. They say knowledge is power, and in Mymensingh, that power has transformed the next generation. Many of us in Canada take for granted that if we visit a government office, even if it’s not always a relaxing experience, the people working there are trying their best to do a good job and help citizens apply for a health card, update their address, or file taxes. There’s some measure of good faith. But for anyone required to deal with the government in Mymensingh in the past, acting with integrity simply wasn’t an option. Corruption was rampant, and trying to accomplish anything without a bribe was impossible. So when FH Bangladesh first decided to step in, the organization’s ideas were not entirely welcome. Many were afraid that working honestly with the government would hurt their livelihoods, rather than help. Members of FH staff were convinced, however, that a change could take place. Across the communities, new connections were made with government health facilities. Instead of falling into the system of corruption that existed, participating residents focused on transparency and understanding as keys to conducting good business. By working together, community members were able to use the power in numbers to have greater influence on local government leaders. Mymensingh was also stuck in one of the murkiest pits in history: injustice. For those families labeled “untouchable” in the brutal caste system, resources and accurate information were extremely scarce. And women were simply not viewed as equal to men. But these attitudes began to change as well. The existing male-dominated culture shifted in many homes. 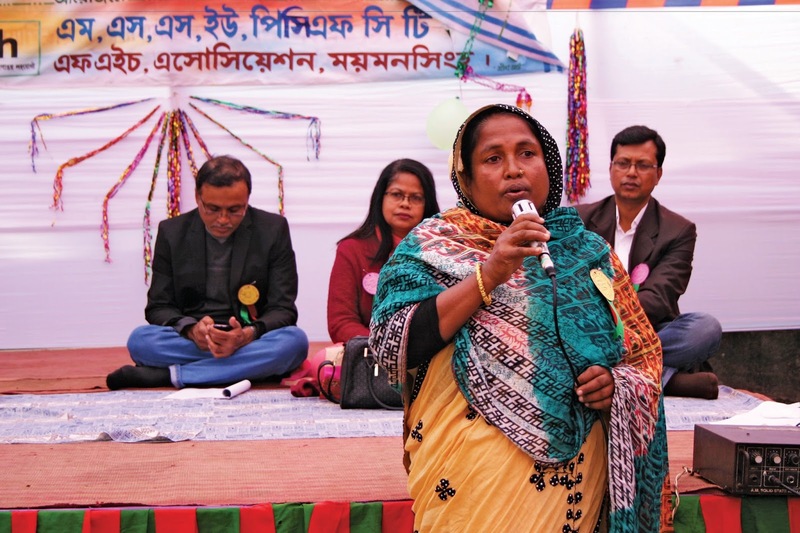 Some of the most encouraging examples of progress appear in looking at the number against women who have taken on leadership roles in Mymensingh. Asif reports that, incredibly, about 90% of Savings and Loans Group members are female. As the lotus grows in that puddle of mud, it still requires the right elements to keep growing. Water, sunshine, air quality: these factors contribute to the flower’s ability to grow out of the mud. FH programs and training have done their part to help Mymensingh blossom, but it’s now in the hands of those communities to ensure the continued success of these initiatives. In the nine years since FH began to work in this part of Bangladesh, however, progress has been remarkable. It’s not difficult to see why these communities have a high likelihood to continue flourishing in the future. Timothy Danz, Country Director for FH Bangladesh, recently visited Mymensingh and was excited to see the community leaders come together and review the progress towards their annual plan and overall goals. Mymensingh’s success shows an opportunity to continue breaking through barriers and turn its incredible potential into a beautiful reality, making it a thriving example of persistence and grace. LOCAL COMMUNITY LEADERS SHARE WORDS OF THANKS AND INSPIRATION TO GATHERINGS ACROSS THE COMMUNITY. MYMENSINGH LEADERS AND LOCAL FH STAFF CONDUCT A CEREMONIOUS PASSING OF RESPONSIBILITIES. AS PART OF THE CELEBRATIONS, STUDENT PARTICIPATE IN AN ART COMPETITION. FORMERLY SPONSORED CHILDREN RECEIVE SCHOOL SUPPLIES AND OTHER GIFTS FOR THEIR FAMILIES. Food for the Hungry Canada is incredibly proud of the leaders and families in Mymensingh. Since celebrating their graduation this past spring 2016, families continue to thrive. Food for the Hungry Canada has since started partnership, and a new 10-year journey, with the neighbouring community of Char Borobila. 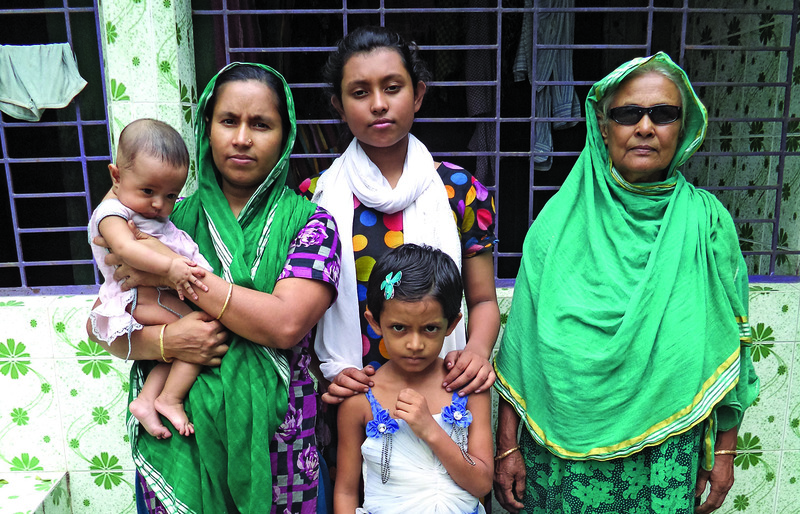 Their humble beginnings are very similar to those of Mymensingh, but the success of their neighbour is a truly encouraging testament to what families hope to see change in Char Borobila.